repoze.bfg is a small, fast, down-to-earth, open source Python web development framework. It makes real-world web application development and deployment more fun, more predictable, and more productive. 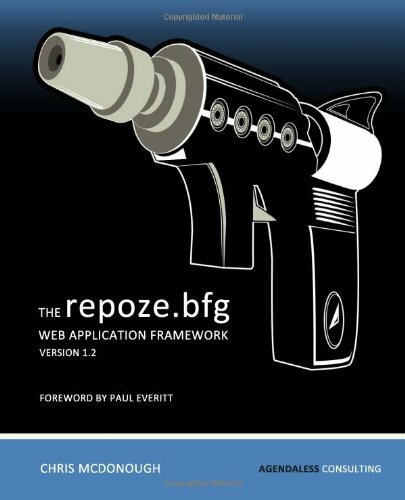 This book will show you how to develop web applications using repoze.bfg and Python step-by-step, including: - Using SQLAlchemy and ZODB along with repoze.bfg. - Using built-in templating facilities to render HTML and XML. - Using repoze.bfg security functionality to protect your application. - Exending an existing repoze.bfg application without changing its source code. - Using sessions within repoze.bfg. - Running repoze.bfg under mod_wsgi. - Deploying your repoze.bfg application to Google's App Engine. This book is written by the primary author of repoze.bfg. It has developed along with framework itself, and therefore contains the most accurate and up to date information.